First sentence: "SWOOOOSH! "Let's go, Big Ted!" shouted Hawkman as his spaceship zoomed through deep space." 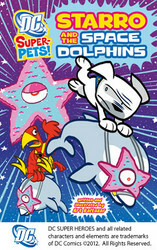 Publisher's Summary: "When LOBO'S beloved SPACE DOLPHINS go missing, DAWG and BIG RED team up. These suspicious SUPER-PETS believe someone has stolen the poor porpoises on purpose! However, the heroes discover something far worse. The STARROS, a species of alien starfish, have attached themselves to the abducted dolphins and now control them with their evil powers. If DAWG and BIG RED can't help, these brainwashed bottlenoses will become a whale of a problem." Acquired: Received a review copy from Capstone Press. Reason for Reading: My son read aloud to me as a reader. 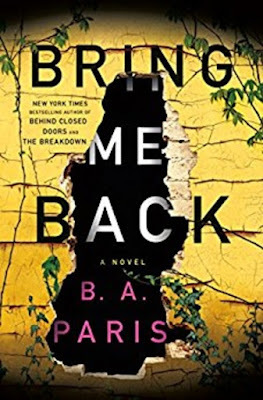 This latest bunch of books in this series are harder to read than previous books. This one is at a full reading level of 3 and my ds did have some problems reading it but he still enjoyed the story very much. This one was just some plain silliness, with both Hawkman and Lobo being kidnapped as well to make-up Starro's mind controlled band. The same quality of artwork (all books are illustrated by Baltazar) and same good superhero story as we've come to expect from this series. Ds and I both prefer the more serious stories with battles of good vs evil, but for a light-hearted plot this one was especially fun.